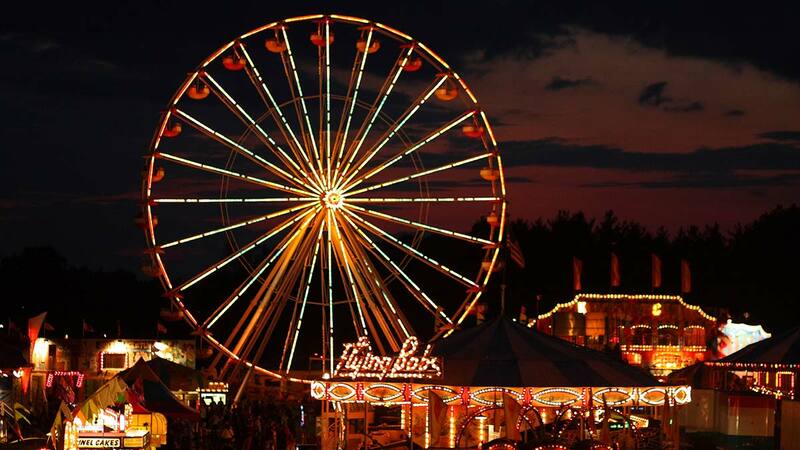 Maybe it’s the Lake Erie breezes, or the rolling countryside, or the small-town spirit of a village like Hamburg. 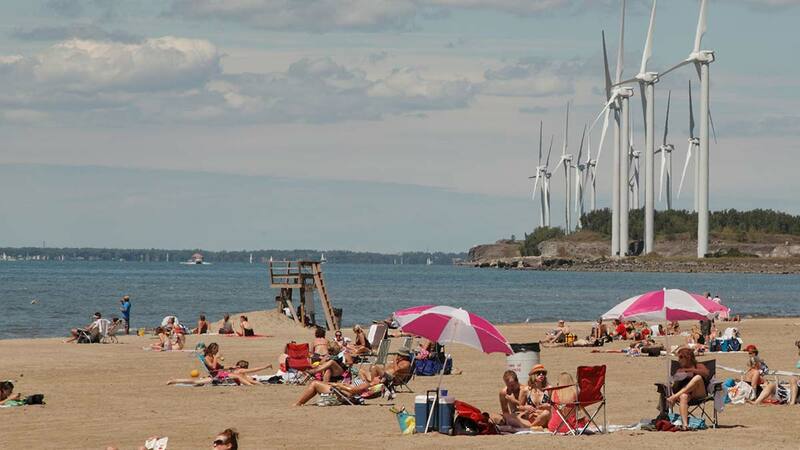 In Buffalo’s Southtowns, life seems to slow down a bit, which has provided an enduring appeal to visitors. That charm is on full display in the Hamburg Downtown Historic District, which was added to the National Register of Historic Places in 2012 and features walkable streets, fine dining, boutiques and a decades-old neighborhood ice cream parlor and movie theatre. From pub grub to fine dining, Hamburg is packed with picks for any palate. Chow down on delicious made-from-scratch meals at The Grange Community Kitchen; nosh on pit-charred barbeque wings at Mammoser’s (which is near the top of my wing power rankings); get fancy with the upscale culinary creations of Carte Blanche; or kick back with a Prohibition-style cocktail at Bistro in the Square. Then satisfy your sweet tooth with some frozen custard from Nick Charlap’s (if they have orange chocolate as the flavor of the week, get it! ); an old fashioned banana split from Main Street Ice Cream (I often succumb to their tagline: “You deserve it”); or spice things up with some sea salt habanero chocolates from the Village Sweet Shoppe. Outdoorsy type? Then Gear for Adventure is worth the hike to Hamburg, alone. Husband/wife co-owners Kevin and Sarah offer everything from Marmot outerwear to Kelty frame packs to bear barrel rentals. During the winter months, they lead weekly snowshoe excursions. If you’re a film buff, skip the megaplexes and head to the Hamburg Palace Theatre. With its bright marquee beaconing passersby on Buffalo Street and single screen inside, the Palace has been bringing Hollywood to Hamburg since 1926. 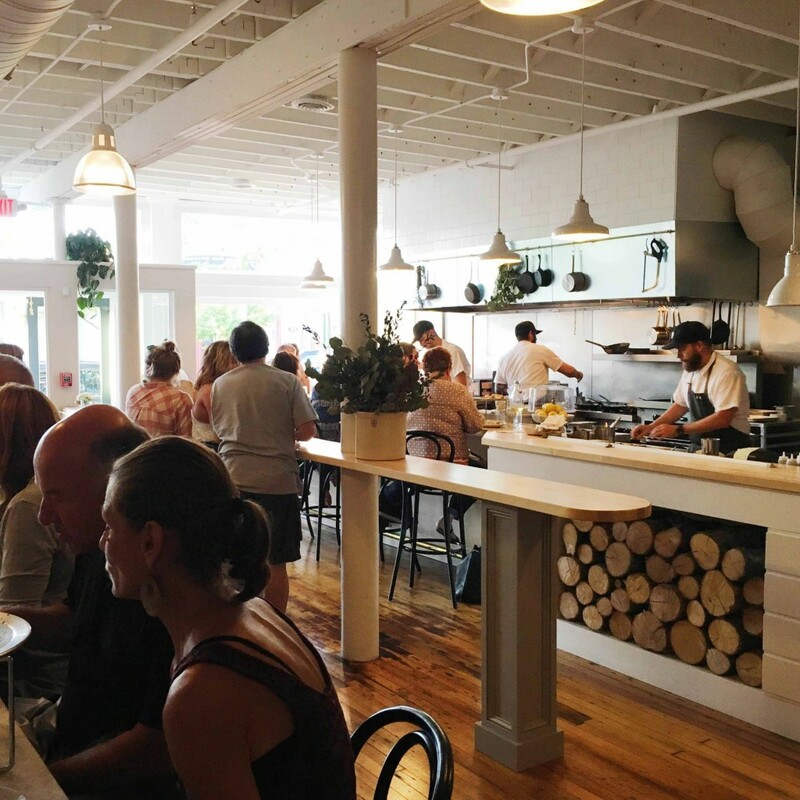 One of the newest restaurants in Hamburg was also one of the most anticipated openings of 2016. 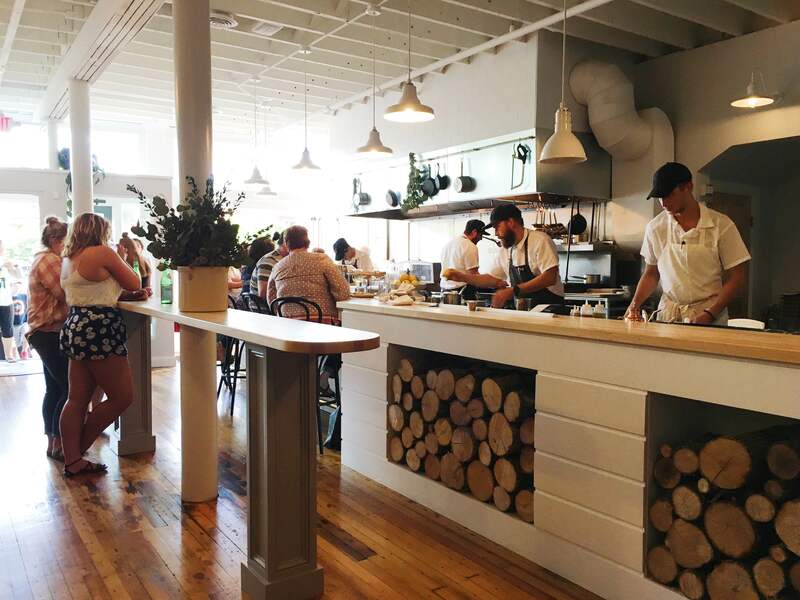 The kitchen is run by Chef Brad Rowell, the former Chef of Elm Street Bakery’s dinner service. For fans of his work at Elm Street, they’ll be happy to know that the theme and style of food (local, seasonal, rustic) has continued into his new restaurant venture. They have a gorgeous wood fire oven that was shipped in from Italy, an open kitchen, a talented pastry chef and a bar with craft cocktails, craft beer and a well-curated wine list. Located in the former Tina’s Italian Kitchen, the restaurant has been fully remodeled and could not look any better. They offer breakfast, lunch and dinner and just about everything is made in house. 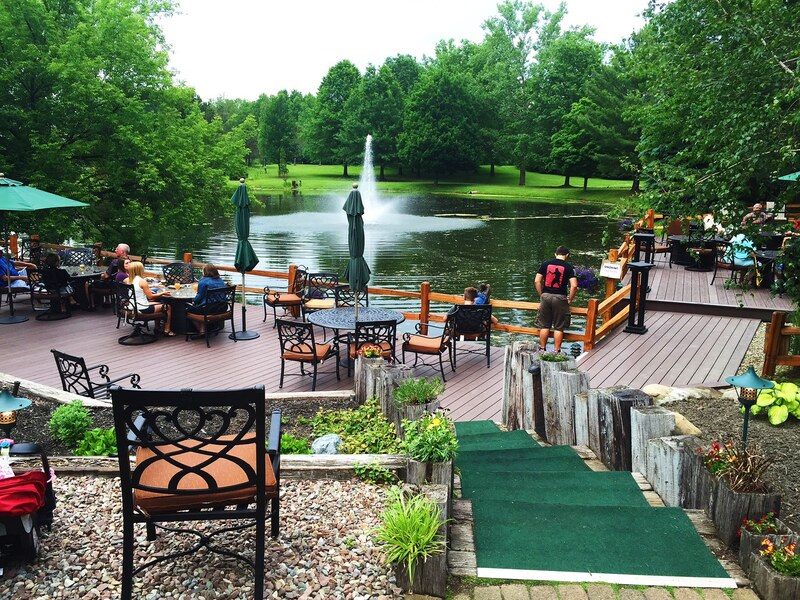 Get there this summer or fall and enjoy the patio. Another exciting addition to the Hamburg dining scene for 2016 is Carte Blanche, the newest restaurant from Chef Andrew Murtha (Juicy Burger Bar, former Chef at Tempo). Everything on the menu is made in-house from scratch and the team is incorporating plenty of local and seasonal ingredients. The former Buffalo Street Grill space has been completely renovated and looks amazing. 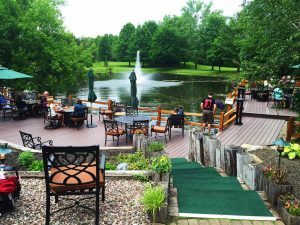 This is another restaurant you want to visit before the weather starts getting colder; their outdoor patio is the place to be right now. 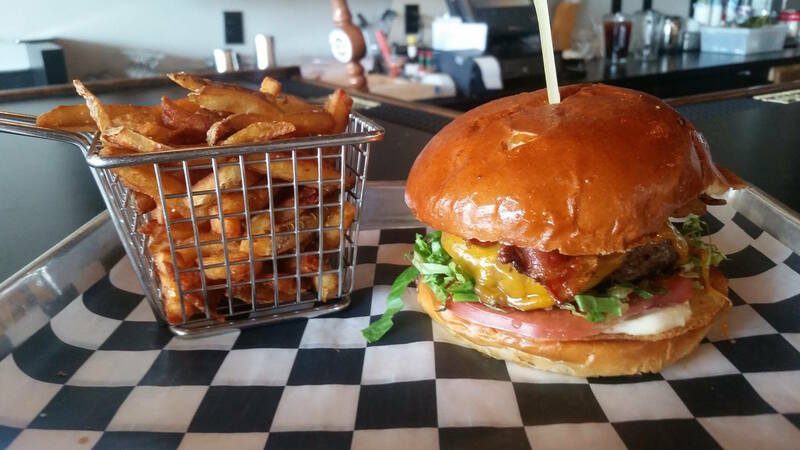 As mentioned above, Chef Andrew Murtha and his restaurant group opened Juicy Burger in the village of Hamburg in 2015. For a town that claims to be the birthplace of the hamburger, there was a surprising lack of great hamburgers to be found. Juicy has changed that with a menu of nearly a dozen burgers and a variety of sides and small plates that are all housemade. If you’re looking for comfort food in Hamburg, this is it. Long before any ‘food’ renaissance took place in the city, Daniel’s in Hamburg established itself, with original owner/chef Daniel Johengen, as one of the best restaurants in all of Western New York. After a long run of over 20 years, Chef Johengen sold the restaurant in 2013 to Scott Donhauser, who has continued the fine dining tradition. It still ranks as one of the best restaurants in the southtowns. If you’re looking for a special night out, this is a great choice. Every town in WNY has a bar that is known for their wings. Mammoser’s is Hamburg’s version and while they aren’t new to town, they have their own unique style of chicken wings that’s worth going out of your way for. They are coated with a dry rub and are less saucy than your traditional Buffalo style wing. Their craft beer selection is above average, the atmosphere is casual and fun, and it’s a great place to hang out with friends and watch a game. When I think of gardening, I think of dirty, sweaty, manual labor under an unrelenting sun. Terrible. Ah, but when I think of beer-gardening, I think of relaxing with cold brews on a lazy, sun-kissed summer afternoon. Wonderful. 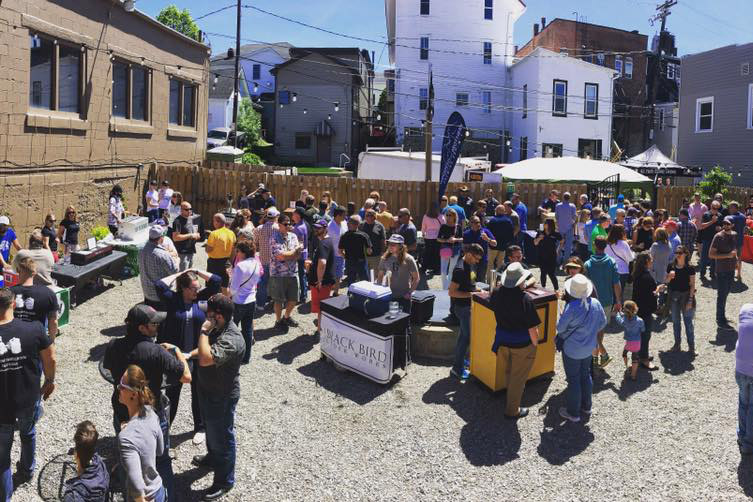 In a happy coincidence, new breweries and beer gardens have sprung up all over Buffalo giving you an opportunity to skip the actual gardening and do some beer-gardening. Hamburg Brewing Co., 6553 Boston State Rd. : Rumor has it that Hamburg Brewery used to be a golf course. 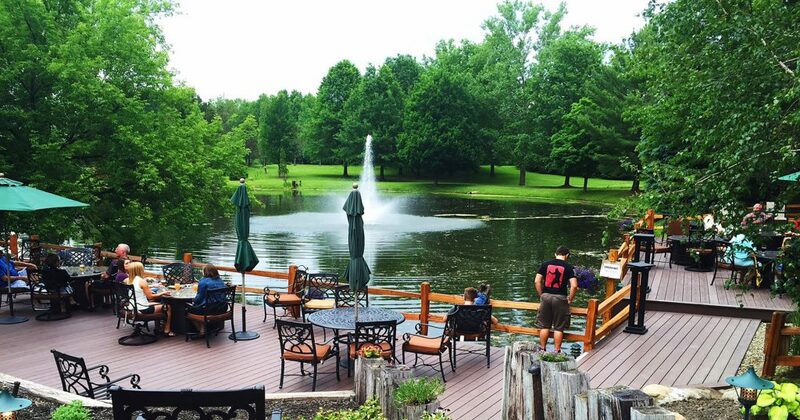 That’s not the case but the brewery grounds could easily pass for a swanky country club. And the beer garden looks out over all the nature you’ll ever need. Go there if: You’re looking to recreate a scene from The Notebook. With beer! Rusty NickelBrewing Co., 4350 Seneca St., West Seneca: Rusty Nickel Brewing is located south of the city in West Seneca behind the popular Ebenezer Ale House. Behind that? A cozy, rustic themed beer garden complete with hay bales and water features. Go there if: You’re trying to have a relaxing conversation or plotting to take over the world. Hydraulic Hearth, 716 Swan St.: Frolic in this urban paradise for hours. 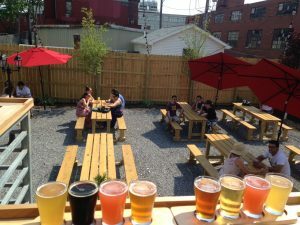 Besides the requisite beer selection the expansive, urban beer garden features pergolas, great views of the now constant activity at Larkinville, and two shuffleboard courts. Go there if: You and your friends are looking to do some day drinking. Resurgence Brewing Co., 1250 Niagara St. : As hip as anything in the pages of the latest design magazine. You can watch the brewers work from your seat at one of the indoor picnic tables or head outside to the fire pit for a West Coast vibe. Go there if: Your day beer-gardening turns into night beer-gardening. 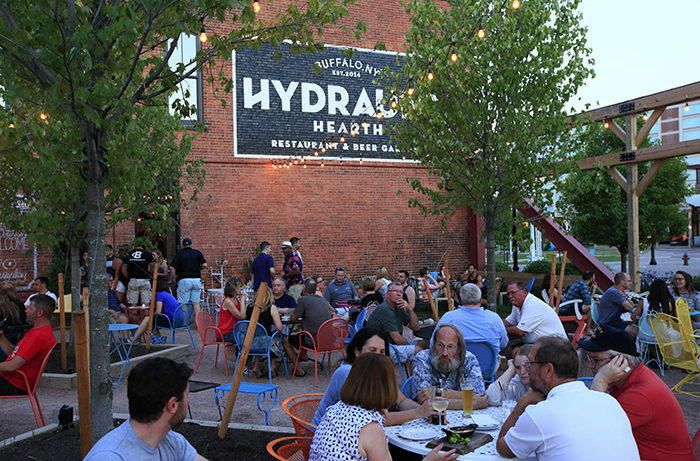 The Dish, Canalside: Canalside is THE place for concerts and events in Buffalo these days and the The Dish’s beer garden gives you a front row seat to all the action. Go there if: The people watching. All the people watching. 42 North Brewing Co., 25 Pine St., East Aurora: Dubbed “The Community Living Room,” this East Aurora hot spot is quickly making a name for itself. 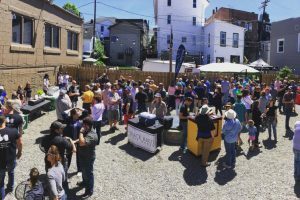 Their beer garden behind the brewery includes a fire pit. Go there if: Your living room is no longer an acceptable venue for game night.